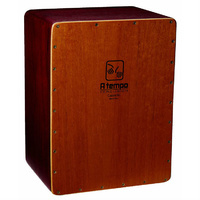 A TEMPO Percussion's Dos Voces Cajon has two playing surfaces... one with a snare and one without. 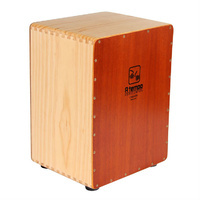 This cajon is called Dos Voces, or Two Voices, because of its dual playing surface design. 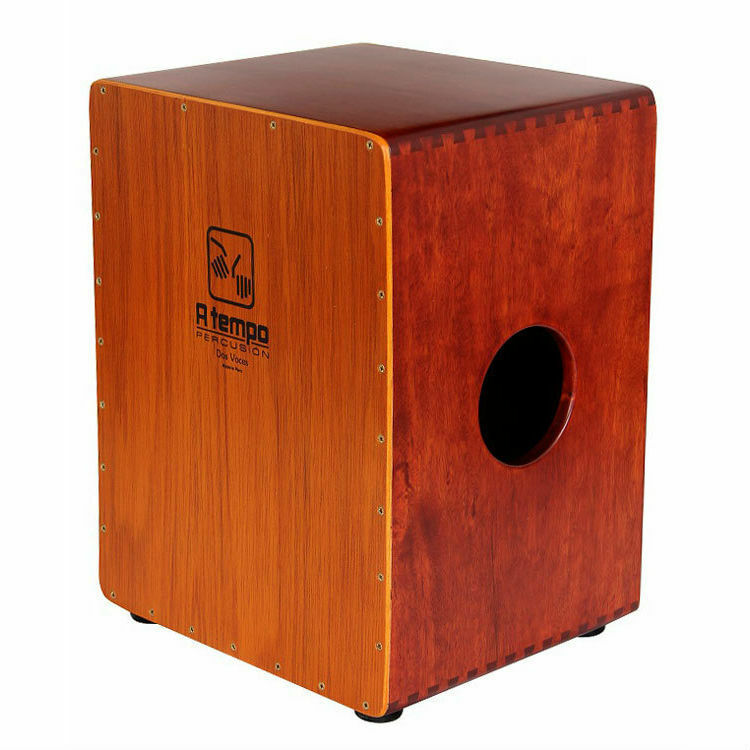 By placing the sound port on the side of the cajon, we are able to offer a versatile instrument with a traditional, Peruvian playing surface on one side and a Flamenco playing surface on the other. 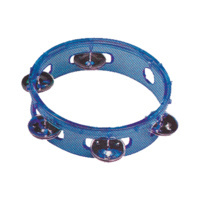 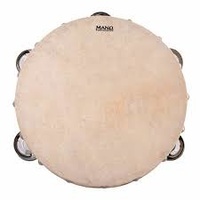 Partially sealed and without snares, the traditional side offers round, mellow tones and a pure, deep bass. 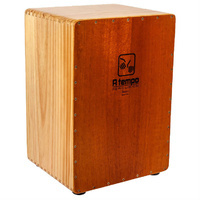 Flip the cajon around and the player can draw out the more aggressive, modern snare sound common to the modern Flamenco-style cajons. 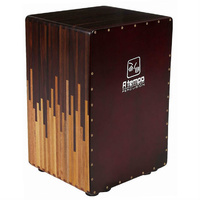 The body of the Dos Voces Cajon is made from solid, furniture-grade panels of Mohena, with dovetail joints and a beautiful finish. 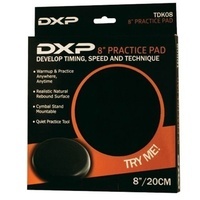 The playing surfaces are both multi-ply Spanish Cedar and Lupuna. 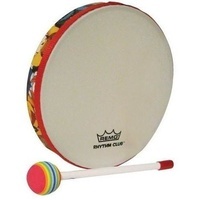 Features: Two playing surfaces - One side Peruvian, the other side Flamenco Side soundport Dovetailed Mohena body Spanish Cedar and Lupuna playing surfaces Includes deluxe padded gig bag Made in Peru to the same high standards as all A TEMPO instruments.